We actively sourcing and expand our range of functional /nutraceutical ingredients to meet worldwide trend & demand. 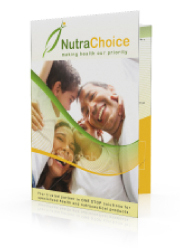 Our nutraceutical products are free from adulterated drugs and chemicals. Currently, we have prune extract, ashitaba, enzymes, spirulina, horse milk powder, marine essence such as collagen, oyster extract, green lipped mussel and shark cartilage.